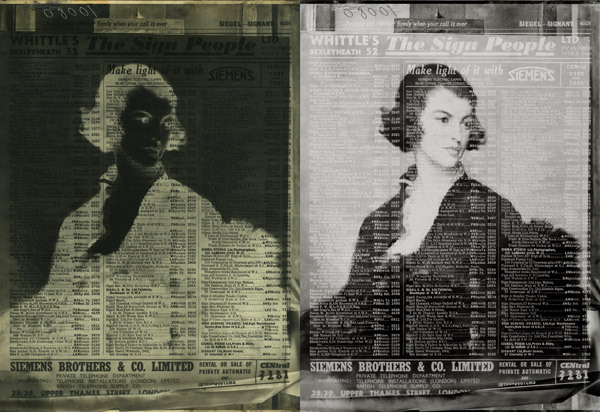 A new work in progress, juxtaposing the private and public - establishing an alternate form of photographic portraiture through the overlay of society portrait painting and printed trade advertisement. 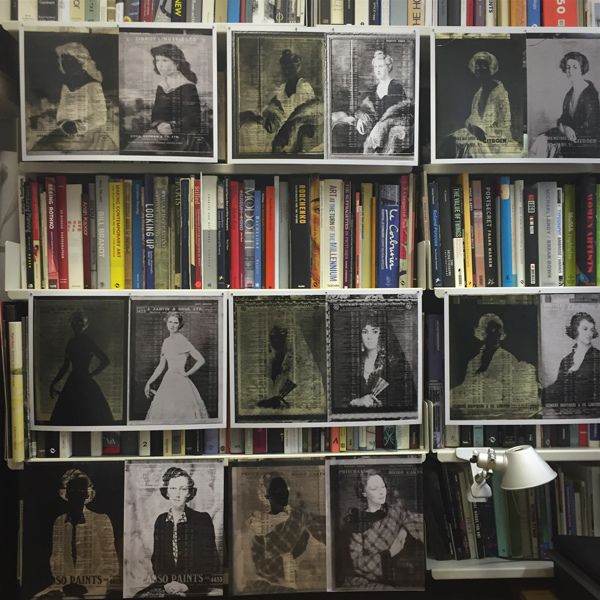 London-based Fine Art Photographer, Veronica Bailey presents a new work in progress - Veronica Bailey ‘Glass Ladies - Trading on British Class’ - from The de Laszlo Gift of Paul Laib Negatives within The Witt Photographic Image Library at The Courtauld Institute of Art, Somerset House, London. The de Laszlo Gift of fine art photographer Paul Laib’s (1869-1958) 22,000 glass negatives, made between 1905 and 1960’s from his studio in Kensington, consists of painted works by numerous, largely forgotten, society artists of the period (including Gerald Kelly (1879-1972), Sir James Gunn (1893-1964), and Sir Oswald Birley (1880-1957)) . Saved from destruction by Patrick de Laszlo, son of the portrait painter Philip de Laszlo (1869-1937), these negatives were donated to the Witt Library in 1974.
re-presented as advertising models for various proletariat trades and professions. New titles such as ‘Lady Quickset’, ‘Lady Silver’ and ‘Lady Shutter’, reflect an ironic difference within the class structure of the period. The presentation of the images – as near colourless diptychs (both positive and negative) - suggest a push and pull of public and private relationships. Ghosted text reveal an inter and post-war period when a four-digit, London prefix was confirmation of important and professional people, trades and institutions of the time. Kelly’s Directories were introduced in 1845 by Frederic Festus Kelly. The books were last printed in1956, and now act as invaluable historical data. Both the fragile paper and the vulnerable glass negative sandwiched together within the Witt collection are ‘visual material’ in the study of both art and photographic history. Bailey is continuing to research this private collection within the Courtauld library, working along side Tom Bilson, Head of Digital Media, and plans a public exhibition of the work in The Courtauld Book Library Foyer later in 2016.